Nashville Electric Service (NES) has proudly supported the Nashville Tree Foundation’s ReLeafing Day since it began 15 years ago. 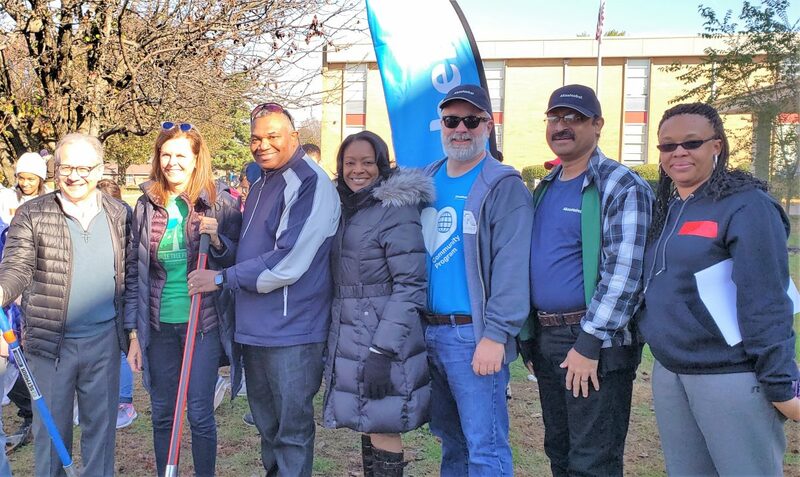 This year NES President and CEO Decosta Jenkins joined Nashville Mayor David Briley on Saturday, Nov. 17 to plant dozens of trees in southeast Nashville. ReLeafing Day is held every year on the Saturday before Thanksgiving. In partnership with NES, the Tree Foundation has planted hundreds of power line-friendly trees around Nashville, which reduces the need for trimming as they grow to maturity. ReLeafing Day evolved out of the Tree Foundation’s highly successful ReLeaf Nashville project in which 6,757 shade trees were planted from 1998 to 2001 to replace some of the 20,000 trees that were destroyed by the ‘98 tornado. If you’re inspired to add some green to your street, be sure to plant smart. For tree planting tips and tricks, visit nespower.com.